Bluesound is the ultimate choice for hi-res multi-room streaming players. 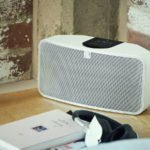 Made by audiophiles for audiophiles, Bluesound’s award-winning line of wireless speakers and digital music players is the first to fully support high-resolution audio. Listen to your favorite tracks, in every room of your home, as close to life-like performance as possible. 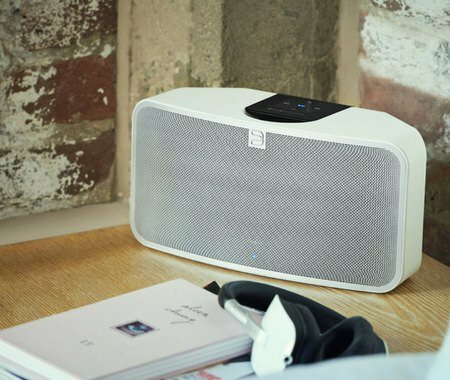 The Bluesound ecosystem uses your home wireless network to stream music and communicates with other BluOS-enabled players on your system. The ecosystem can connect up to 34 players, and through the BluOS Controller App on your smart device, you can play your music in perfect sync, or play different music in every room simultaneously. Whether you stream Internet radio, download hi-res tracks, or have a CD library you have carefully cultivated, Bluesound can give you instant access to millions of songs from a multitude of sources. It’s like having all of the music ever recorded at your fingertips, through a smart device. 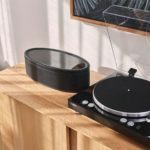 Regardless of whether you’re streaming to a PULSE or a PULSE FLEX, the speakers within the Bluesound ecosystem deliver an incredible performance that is more felt than heard. Captivating and stimulating, the sound produced by these speakers will give you a listening experience unlike any other. The Pulse 2 is an all-in-one streaming player, complete with built-in speakers. A full range of frequencies comes through rich and clear, and blends seamlessly together through careful engineering and design that fits a woofer in with two mid-to-high range drivers. Vault-2 Rip it. Store it. Download it. The beauty of the Vault-2 is the ability to stream hi-res anywhere you want without a computer. A 2 TB hard drive will let you rapidly rip all your CDs in lossless high-resolution or space-saving MP3 formats, and download and store high-res tracks. No computer is necessary. 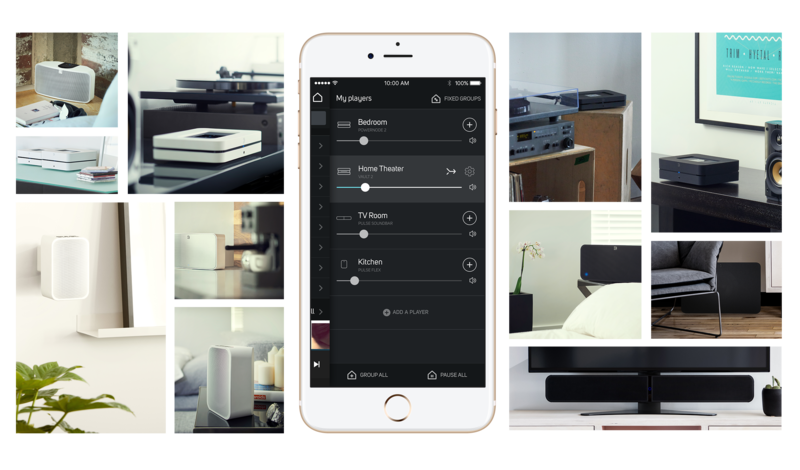 Access and share your digital music library, and stream it in studio quality to multiple rooms in your home. Stop by our showroom to audition Bluesound and our full range of our wireless speakers.